Watercolor and Acrylic on Arches 140# Cold Pressed paper. 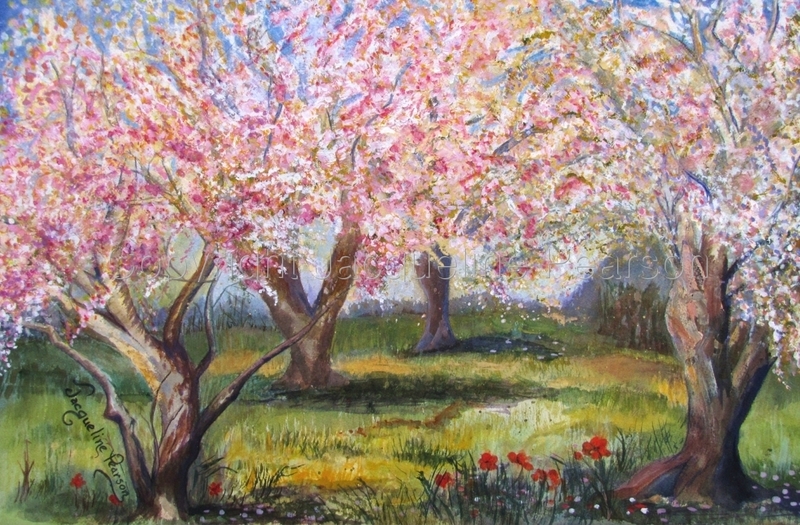 The painting is a springtime cherry orchard with lovely pink blossoms. Framed under glass.